Apple Music attracts 11 million trial members, but how many will convert to paying customers? 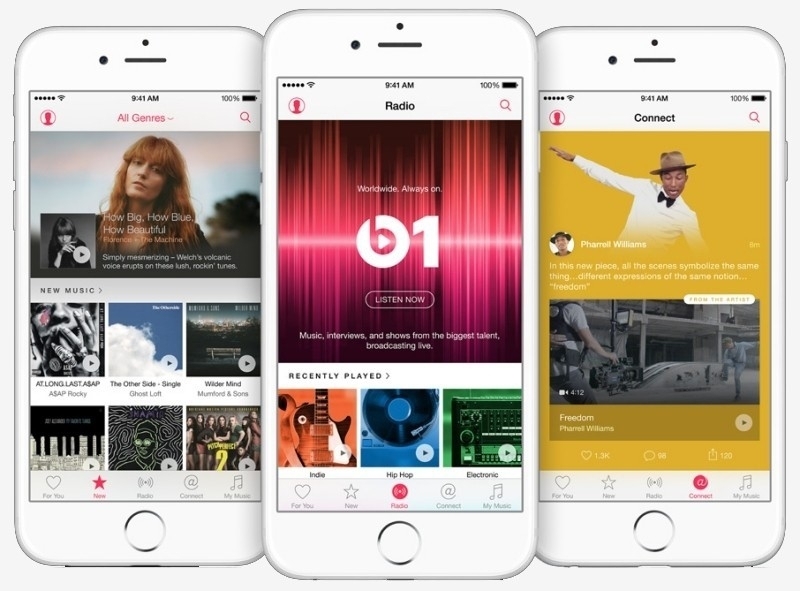 Apple Music made its debut just over a month ago as part of iOS 8.4. Since that time, Apple has doled out 11 million trial subscriptions – two million of which are of the more expensive family plan – according to Apple senior vice preside of Internet software and services Eddy Cue. Apple launched the streaming music service on June 30. Foregoing a freemium model, subscribers pay either $9.99 per month for individual access or $14.99 for a family plan that grants access to up to six people. Apple Music offers a standard catalog of 30 million songs and includes a feature called Music Connect which makes it easier for artists to connect to their fans. The service also includes a live global radio station, Beats 1, that’s free of charge for all. Apple offers all newcomers a free three-month trial subscription and seeing that we’re just one month into it, the service technically hasn’t generated any revenue yet. Assuming that all existing trial members convert to paying customers (they won’t), Apple would have roughly half as many paying subscribers as rival Spotify. A pioneer in the streaming music industry, Spotify got its start nearly a decade ago in 2006. Apple came under fire in the days leading up to the launch of Apple Music due to stance that it wouldn’t pay artists royalties during the three-month trial period. A number of artists rallied behind Taylor Swift and managed to get Apple to change the controversial policy. Apple Music is available on iOS, OS X and Windows-based devices with plans to launch an Android device sometime during the third quarter.